US equity indexes closed broadly higher, sp +38pts (1.4%) at 2767. Nasdaq comp' +2.3% at 7496. The two leaders - Trans/R2K, settled +0.8% and +0.1% respectively. 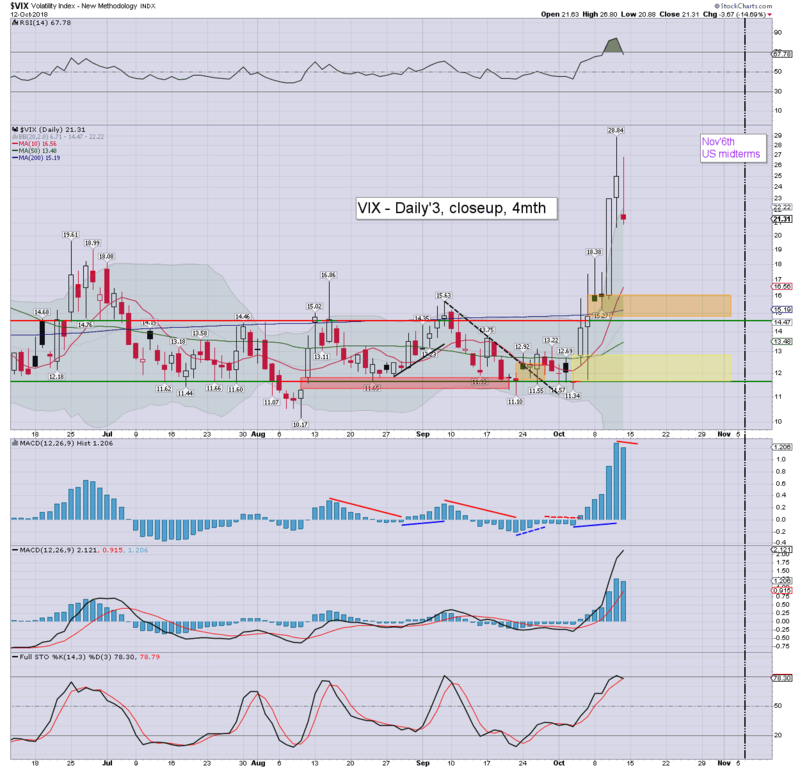 VIX settled -14.7% at 21.31. Near term outlook offers early Monday upside, but then another rollover. US equities opened rather powerfully higher, with the sp' hitting 2775, but that was the high of the day, with the market then swinging lower into the 12pm hour, printing 2729, just 1pt from fully filling the opening gap. The afternoon leaned back upward, with a distinct short squeeze. 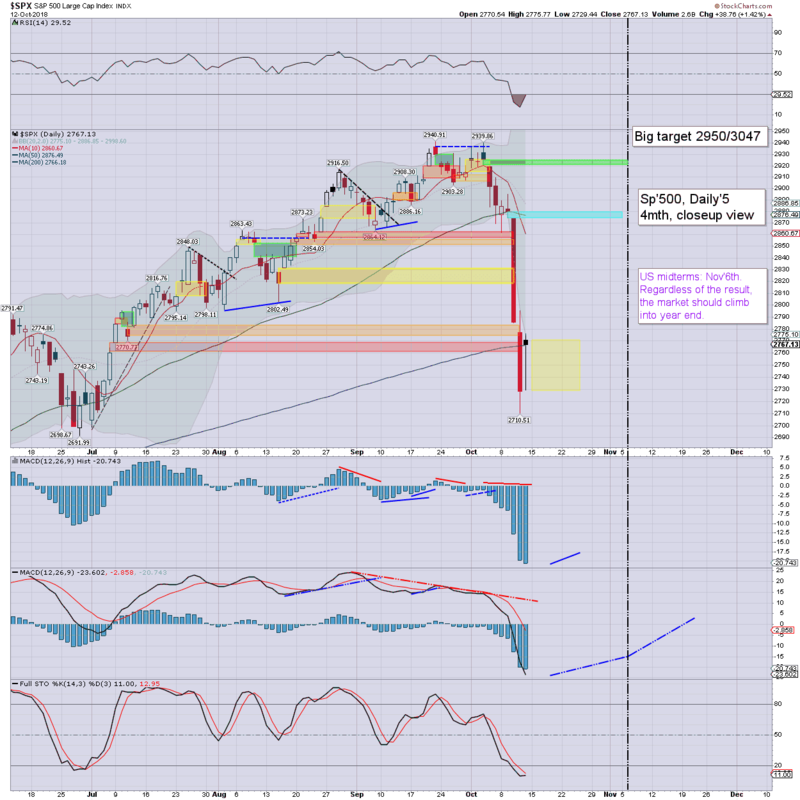 Whilst the spx settled above the 200dma, the daily candle was a black-fail, which leans s/t bearish. 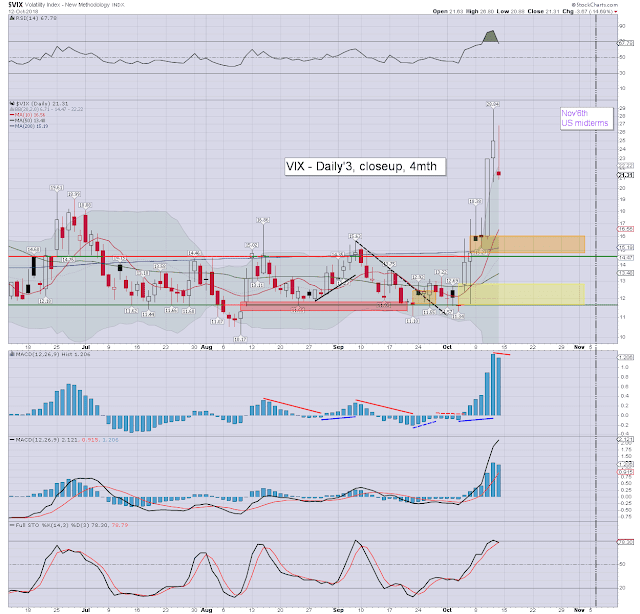 Volatility melted lower into the weekend, with the VIX swinging from an early afternoon intra high of 26.80, and settling sig' lower in the 21s. Whilst Monday might open higher, the next s/t rollover could easily result in a marginally lower low, around weekly support of sp'2700/2690.